Robert Redford hailed The Prince of Wales as “incredible” as the pair appeared together at the inaugural Sundance London film and music festival recently. The veteran actor, president and founder of the Sundance Institute, paid tribute to The Prince at the premiere of Harmony: A New Way Of Looking At Our World at the O2 Arena. The film, narrated by and starring The Prince, tells the story of how His Royal Highness has worked with environmental activists, government and business leaders, artists, architects and visionaries to address the global environmental and economic crisis and seek a more sustainable, spiritual and harmonious relationship with the planet. 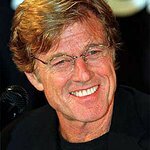 Redford, who has met The Prince on several previous occasions, said they had a “common, shared feeling about the importance of our environment and sustainability that has been going back years and years”. The Prince introduced the film, made by Stuart Sender and Julie Bergman Sender and based on the book of the same name that he co-wrote with Tony Juniper and Ian Skelly. The Prince said he was “enormously touched and honoured” both by Redford’s comments and the fact he had asked to show Harmony at the festival. His Royal Highness jokingly added that he hoped those watching the film, the second The Prince has made on the environment following The Earth In Balance in 1990, “would stay awake for most of it”. The Prince said resources were running out at a rapid rate, but he stressed that changes can still be made. The Prince and Redford had met most recently in March last year when the actor joined The Prince for tea at Clarence House. The Senders hosted an extended question and answer session after the film, which was applauded by the audience as the credits rolled.